Emmy Em Wins First Career Tournament At Raven Lounge! It was an exciting night this past Wednesday at Raven Lounge with the crowd erupting in chants on multiple occasions. 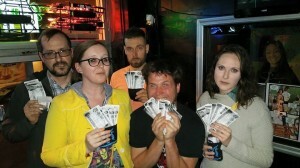 If there has been any theme to the fourth week of the 2015 PBRPRPSCLCS it has been the performance and turn out of Team 2 Be Announced. 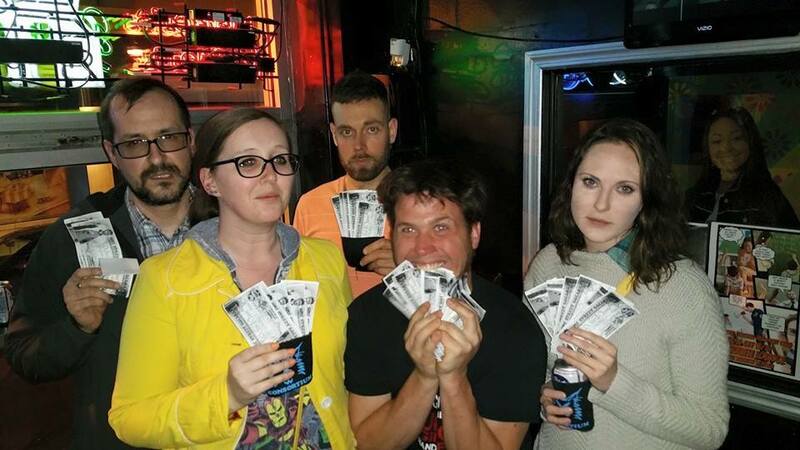 Although none of their members won a tournament yet this week, they did take the Street RPS title two night in a row, mostly (solely) thanks to Kingpin. It’s no secret that T2BA wants nothing more than to dethrone two time Team Points Winners, My Team Wins, before they can have a chance to win it a third. If it didn’t look like they had a good chance to catch up after the first half of the week, it began to look a lot better when we entered the final four of Wednesdays tournament, with three of the players left being from T2BA. It ultimately would come down to Emmy Em in the championship match, as the last player still in it to represent the team. Here she faced off against Clayton Dwyer, who honed his RPS game in Australia before finally making a name for himself at the World Championships in Toronto some years ago. Clayton Dwyer was easily considered the favorite coming into the final game. Anyone who knew who he was expected him to clean up with all his international RPS experience, but it wasn’t in the cards for Clayton on this night. In a stunning upset that went the full five matches, Emmy Em of T2BA walked away a champion… right up to the playing table, where she promptly climbed up and posed for her winning photo. I don’t know about you, but I’d love to get my hands on that Pabst Blue Ribbon also featured in the photo above. When it came to Street RPS, Papel Higienico dominated the night by handing in the largest stack by far. Just before last call on street bucks, Papel made a point to play against her teammate, The Rural Juror (pronounced The Rrrl Jrrrr) in a stack for stack game that gave her the 180 street bucks she need to defeat the next largest stack of 110. Some say that this stunt was an answer to some criticism that has been going on around the league of team collusion, with accusations of the Bobcats funneling bucks to Papel without even playing for them. Although we have heard this type of activity to be rumored for many years, against many different players and team, there has been no specific evidence to prove that it was happening.